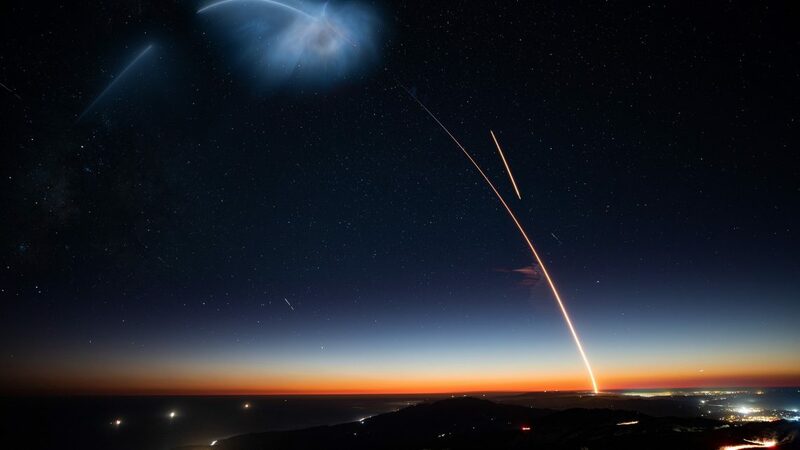 As you can learn from various unofficial sources on the internet, the launch of Es’hail-2 with the two AMSAT transponders is now imminent (Photo: Official SpaceX Photo, SAOCOM 1A Mission, Public Domain). A few days before the launch, a so-called “static fire” test of the launcher’s engines takes place. The rocket is brought to the launch pad, but without the satellite payload, and refueled. Then after the static fire test the rocket is de-fueled again and brought back into the hangar. Only now Es’hail-2 is mounted on top of the rocket. Usually on the same day the final launch date is officially announced by SpaceX. However, the launcher does not bring its payload directly to the geostationary position, but several orbital manoeuvres are necessary and the satellite then takes the last part of the path with the help of its own engine. 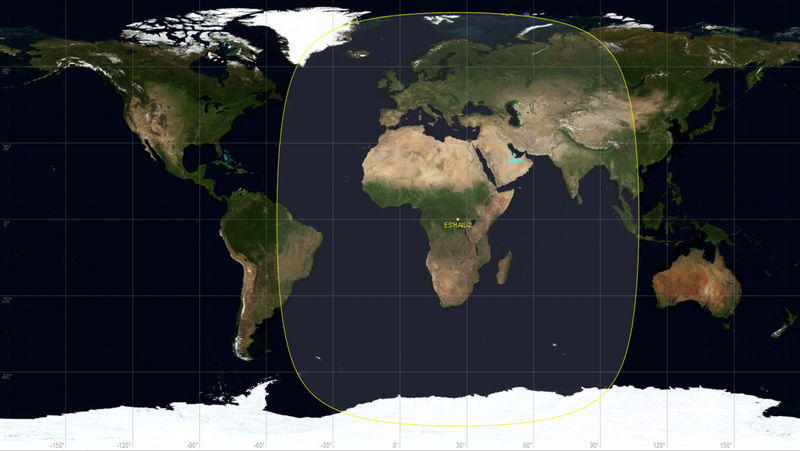 Once in geostationary orbit, further fine manoeuvres will be required until Es’hail-2 is precisely positioned at 26 degrees. It is also possible that a temporary position will be chosen a little off the beaten track in order not to obstruct other satellites and radio services during the following commissioning phase. Es’hail-2 is a commercial telecommunications satellite. The amateur radio payload has a high idealistic value for the operators, but not the highest priority in the order of commissioning. First of all, all systems and payloads of the satellite have to be subjected to a thorough inspection, one also speaks of “in-orbit test” and “in-orbit verification”. This involves checking all the parameters and specifications previously defined by the satellite manufacturer together with the customer, including, for example, compliance with the frequency spectra of the high-power transmitters. Only when all tests and measurements have been completed is the satellite officially handed over to the operator, the Es’hailSat – Qatar Satellite Company. This also includes the two AMSAT transponders! 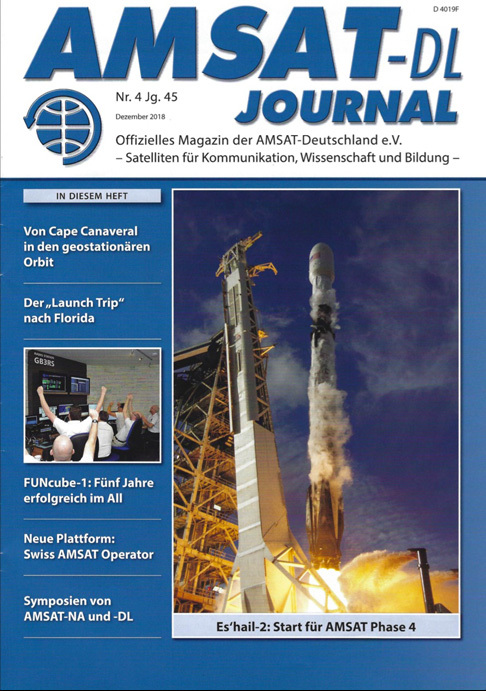 In our concrete case it can be expected that maybe 1-2 months will pass after the launch until the amateur radio payload on Es’hail-2 can be officially put into operation and first tests can be carried out by AMSAT-DL from both the primary ground station equipment installed in the SCC in Qatar and the secondary ground station at the AMSAT-DL Headquarter in Bochum. Of course we would be pleased about as many reception reports as possible, but we would like to ask urgently to start with own transmission attempts only after the official release. Transmission attempts before a release only hinder the commissioning and could lead to delays. In addition, the official commissioning should take place in a dignified framework by the QARS in Qatar. Therefore, patience is still required even after the successful launch of Es’hail-2. Ultimately we want to convey a good picture of amateur radio to the commercial operator and to the sponsors in Qatar, always with the hope of winning a follow-up project through a positive overall impression. Remember, Es’hail-2 could only be the beginning! Es’hail-2 – Phase 4 at last!